The SmarterLife Products® SmartSport Resistance Loop Bands Set-- just launched on the major online shopping platforms today -- is an essential accessory for resistance training, fitness workouts, core strengthening, rehabilitation, physical therapy, yoga, Pilates and CrossFit. 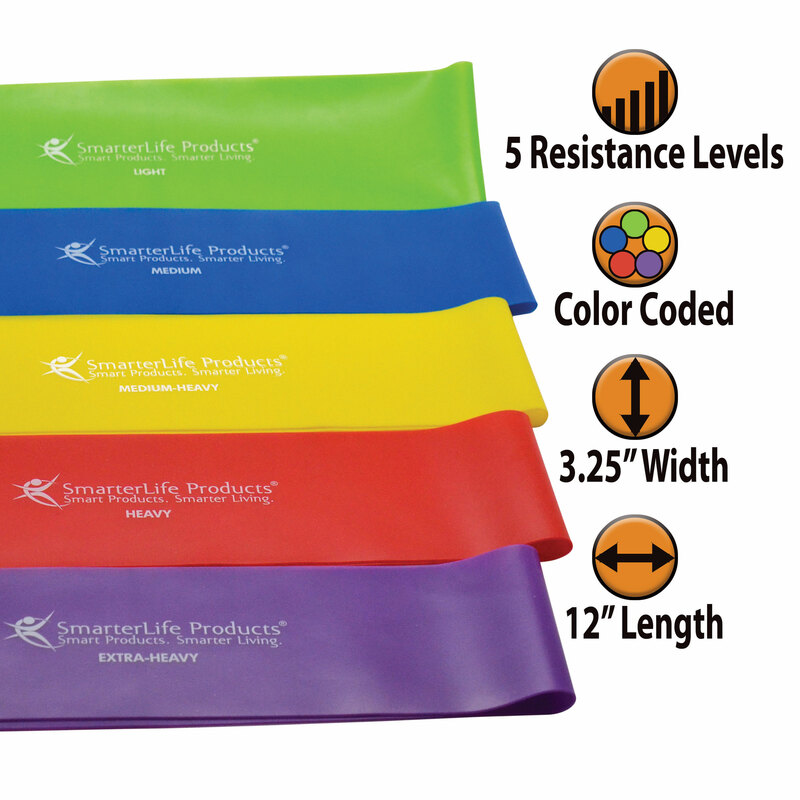 SmarterLife Products® LLC has announced the market introduction of its newest product, the SmarterLife Products® SmartSport Resistance Loop Bands Set, which is now available for sale on the Amazon Marketplace. The SmarterLife Products® SmartSport Resistance Loop Bands Set is an essential accessory for resistance training, fitness workouts, core strengthening, rehabilitation, physical therapy, yoga, Pilates and CrossFit. 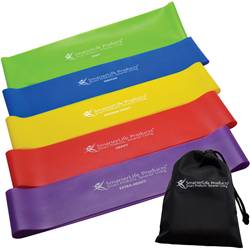 This innovative resistance loop band set offers significant improvements over the typical resistance band set. It features an extra wide width at 3.25 inches – a full 1.25-inch wider than most resistance bands -- which ensures comfort and durability while preventing tearing, bunching, pinching and stretching out. The SmartSport Resistance Loop Band Set – just launched on the major online shopping platforms today -- is made of non-toxic Thermoplastic Elastomer (TPE), while most resistance loop band products on the market are made of rubber or latex. TPE materials are highly elastic and durable, as well as eco-friendly as it requires less energy to produce, minimizes waste products and is recyclable. 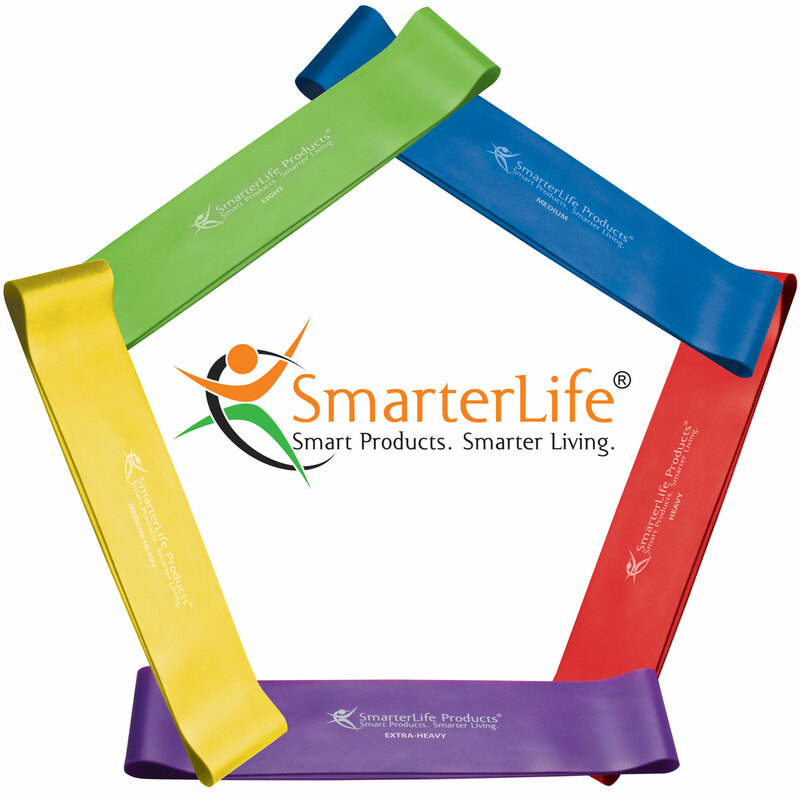 As with all SmarterLife Products® health & fitness products the SmartSport Resistance Loop Band Set is free of latex, PVC, glues and phthalates. The SmarterLife Products® SmartSport Resistance Loop Band Set is now available for purchase on Amazon.com and for a limited time is being offered at an introductory price. 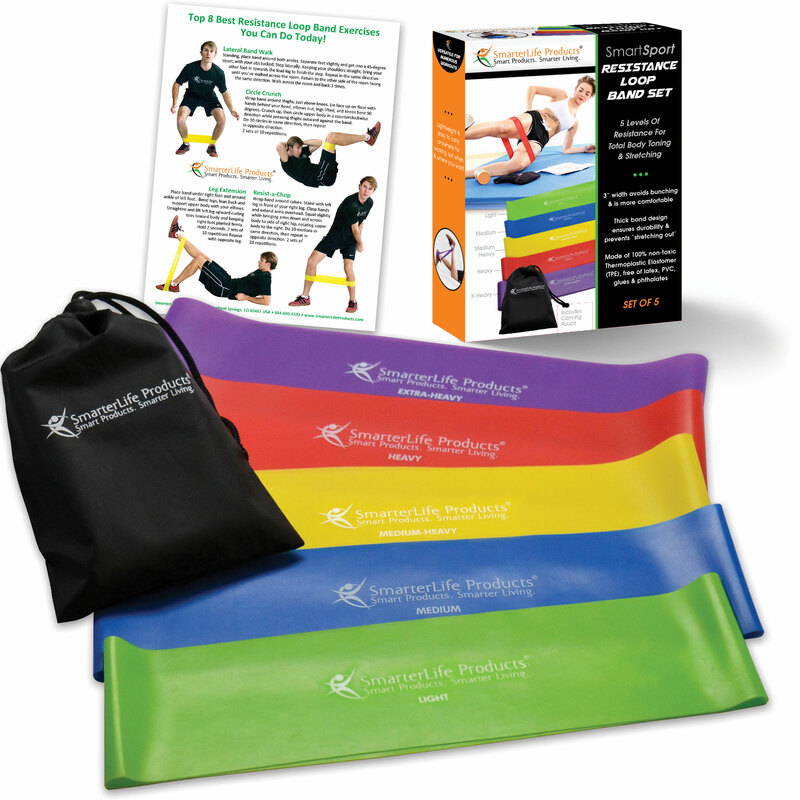 Included in the box is a set of 5 resistance bands of progressively greater resistance ranging from Light to Extra-Heavy, with each being color coded and clearly marked for ease of selection, drawstring travel pouch, and a bonus eBook “Top 8 Resistance Loop Band Exercises You Can Do Today”. Based in Steamboat Springs, CO, SmarterLife Products® sources or creates the very best eco-friendly health & fitness, travel, and lifestyle products for people who want to live smarter. The company was started when co-founders Jan & Tim DePuy realized that it was hard to find purposefully-made items that were good for people and good for the environment. While available in the marketplace, no one had brought them together into one place, which was the impetus for the creation of the company.